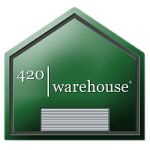 420 Warehouse is a wholesaler to marijuana dispensaries by providing items ranging from pop top vials, to concentrate containers, marijuana labels, THC test kits and many more. © 2019 Pot Suppliers. Theme by Designs@me.